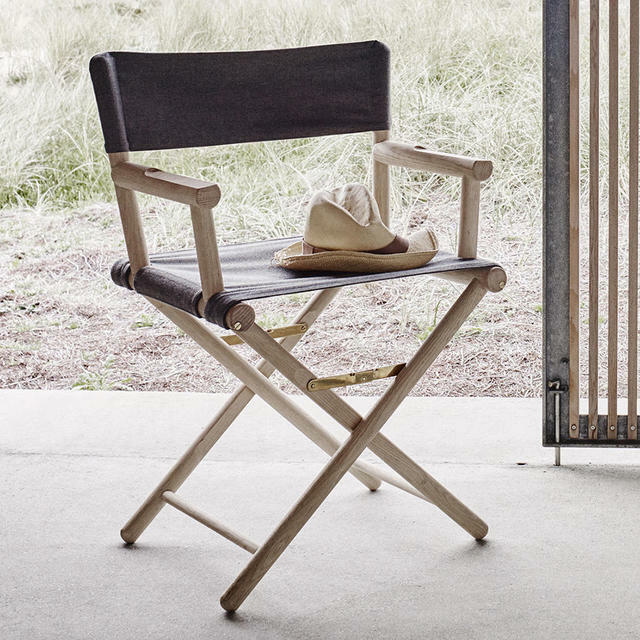 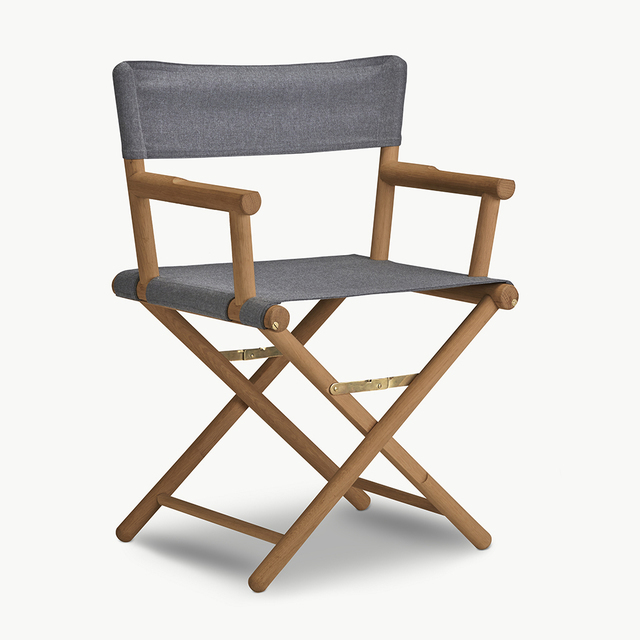 An outdoor directors chair with a modern twist. 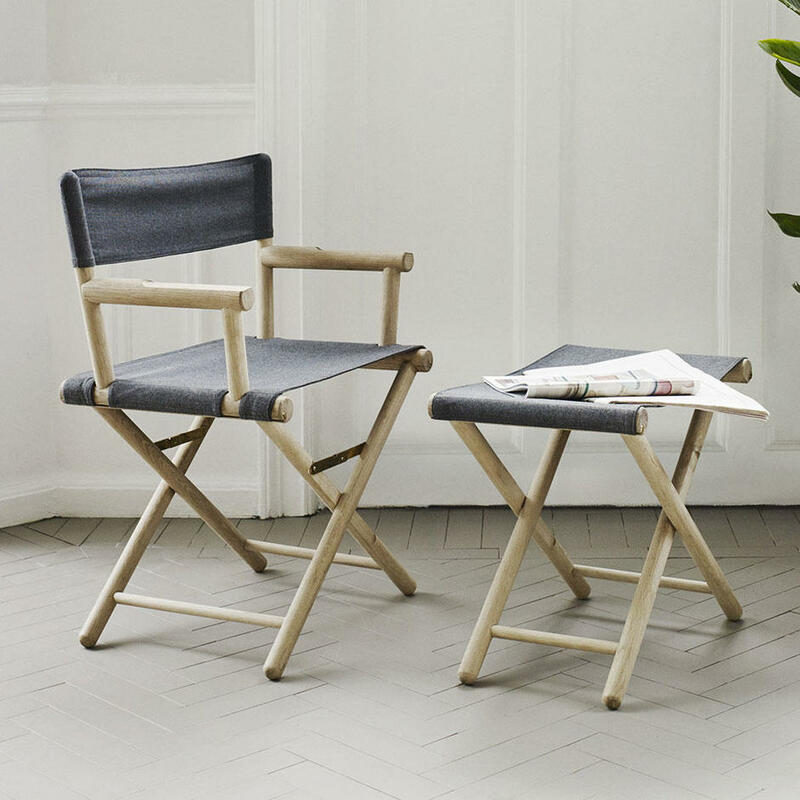 Designed for Skagerak by Emma Olbers, the Junction chair is a modern twist on the classic folding directors chair. 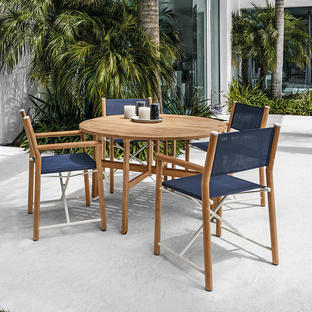 With natural silky teak frame and all weather Barriere® fabric for the seat and back rest. 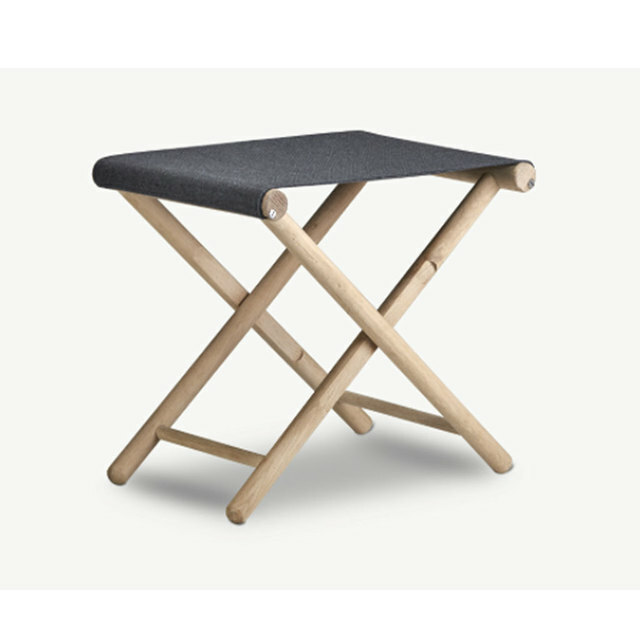 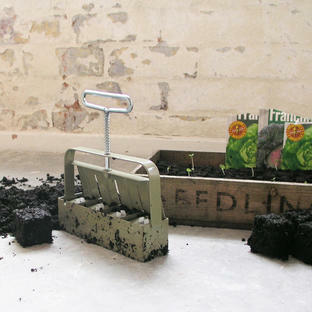 For full comfort, a folding footstool is also available in the collection. With a natural teak frame which will gently weather to a silver grey patina. The seat and back rest made using Barriere® fabric which is UV resistant and mildew resistant and weather resistant.